I hope you are all having a wonderful summer so far! The office has been a busy place up until the last few weeks, and I’m writing to announce some of our staffing changes for the upcoming school year. Tiffany Lane will be teaching 3rd grade. 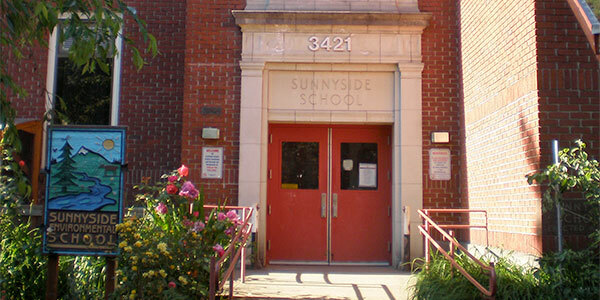 Tiffanyâ€™s most recent teaching experience has been at the Emerson School and Faubian K-8 in PPS. Monica Vogel will be teaching 1st/2nd grade. Monica completed her student teaching at Sunnyside many years ago, and has spent several years in the West Linn-Wilsonville School District. Last year Monica taught at Llewellyn Elementary in PPS. Tyler Young will be our new K-8 counselor. He comes to us from Terra Linda K-5 in the Beaverton School district. He will be joining Ashley Bevan, our .5 counselor, completing our SES counseling team. Iris Powell will be our full time PE teacher, fully taking over the position that was vacated through Dian Christensen’s retirement last spring. Sarah Conley will be our new school secretary in the front office, joining Michelle Schaefle as a permanent front office team. Sarah has been a paraeducator at Sunnyside for several years, most recently supporting 3rd grade in Heather Chaney’s classroom. Alix Pickett will be our new Assistant Principal. Alix comes to PPS from the Lake Oswego School District. Most recently, she has been the principal at Hallinan Elementary School for the last few years. Please join me in welcoming this incredible group of educators to their new positions at Sunnyside! Heather Chaney will be moving up to the middle school, teaching Year of the Forest and 6th grade math/school skills (formerly called “Friendship”). Jeremy Thomas will be teaching 4th grade. Asa Gervich will be teaching 4th grade. Leo Soell will be teaching a 4th/5th grade blend. Enjoy the summer, more announcements to come as we get closer to the start of school.